The current Vernon Office opened its doors in 2008. 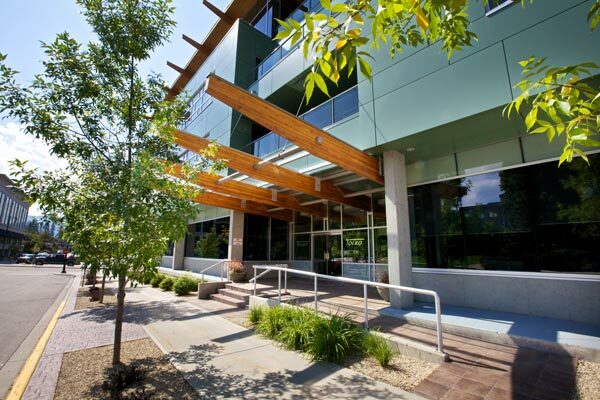 Our four-story green building is in the heart of downtown and is home to our 190 centralized service employees. 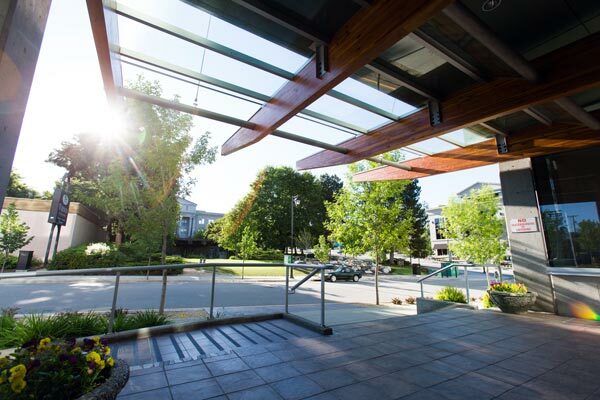 The building features natural light, well-equipped meeting rooms, an onsite gym, employee parking, a rooftop patio, and decks on each floor to take advantage of the long, hot, beautiful Okanagan summer. 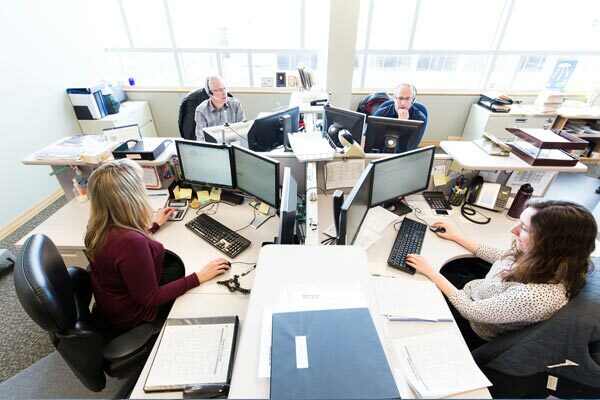 At the office, you will find Marketing and Sales, Logistics, Transportation, and Finance employees working alongside their Human Resources, Communications, Corporate Woodlands, Office Administration, and IT colleagues to deliver on the strategic goals of the company. The building is also home to Tolko’s Executive Team. Vernon is where we started, and where we call home, just 15 minutes down the road from where we started in Lavington. With an abundance of natural beauty, it’s an incredible place to do business. With plenty of parks, vineyards, lakes, and a world-class ski resort less than 30 minutes from town, there’s plenty for residents to do all year long. Vernon is located only 30 minutes from Kelowna’s international airport. Add in the mild climate and friendly charm for which the Okanagan Valley is famous, and the possibilities for you and your family are endless.